With the whole new process of tetra pack juices luring you into buying them for staying fit and healthy, the entire process of fitness has acquired a new name. But these juices do harm than good to you, as they contain artificial food colors and preservatives that can damage your internal organs. But with cold press juice that include fruits, nuts and even vegetables transformed into pulp and then juice, you get all the rare health benefits that you have already missed out. Cold pressed juice are also prescribed by notable fitness experts and physicians, as they contain the exact amount of enzyme, mineral and raw vitamins when the pulp is extracted from the vegetables or fruits. No artificial sweeteners are used in cold pressed juice, so it is extremely safe fro diabetic patients. This juice can be stored and refrigerated for about three days, and there is no fear of oxidation. You can find cold pressed juices like apple, cranberry, grapes, blackberry and even almond juices. Having experimented with all kinds of junk foods and processed/packaged foods and a lifestyle with no physical activity, we added a host of diseases to our directory of illnesses. Now we are coming back to all new organic and natural foods, the latest fad being the Cold pressed juices. Convenient Juices are to be consumed as soon as they are extracted with a low shelf life whereas these cold pressed juices are supposed to have a shelf life of a couple of weeks owing to the process by which they are manufactured. This kind of juice is not pasteurized like milk under a certain temperature, but then also, the ingredients remain intact, and they are the best for all those people who do hard workouts, and who want to stay fit and healthy. The pulp is extracted from fruits and vegetables and then very high pressure is applied to them to crush them into juices, which not only contains the juicy extracts but also the pulp. The juices contain many nutrients that are nullified by the use of preservatives in normal packaged juices, and the ordinary juices also miss out on the high fibre and pulp. Though there is no significant research suggesting that these juices are more beneficial than natural juices. There is a possibility of these having high amounts of carbohydrates, which are long-chained, which may not be very good for health. 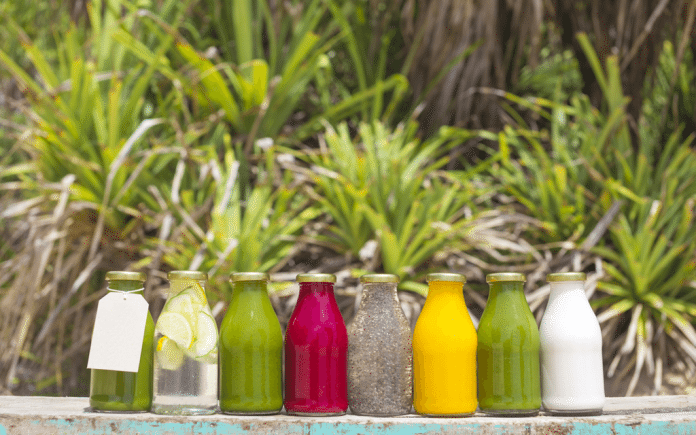 These pressed juices are also high priced and they are not quite affordable to be consumed on a daily basis though they could be used as once in a while as indulgences. The grocery stores are now flooded with all kinds of natural and organic food, and it is good news that the new generation is moving towards a healthier lifestyle and making choices which are not only easily available, but which need no processing and are all natural. There have been many controversies regarding the nutritional value of the cold pressed juice and food experts are coming up with a new fact each day. However, the general consensus is that the cold pressed juice is better for the overall health and for the metabolic system of an individual.